Beautifully designed Santa Fe Western look. 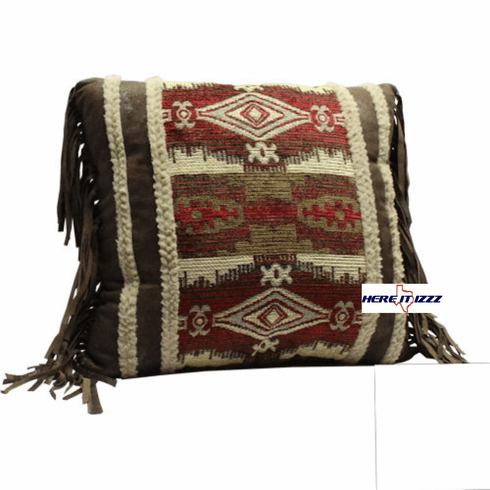 Southwestern fabric in an overstuffed 18 by 18 inch pillow. Full 3 infringe on each Edge Adorn this gorgeous pillow.